Paris-based director is a master director of CGI, believing that with animation you can build any universe & give life to any story. Paris-based director Kristenn is a master director of CGI (we do not throw this term around lightly), believing that with animation you can build any universe and give life to any story. Easy for some, when you’ve managed to hone your talent as perfectly as Kristenn, whose keen sense of character-based storytelling has built up an impressive client list which includes Hyundai, Kellogg’s, Nestle and BNP Paribas. Kristenn elevates the ordinary to something beautiful with his magic lighting skills and breathing life into any universe with his environment design, all gleaned in part from his time at Framestore and Pixar where he lent his expertise to films such as Toy Story 3, Brave and Cars 2. We’re going to delve into Kristenn’s stunning CG world and explain how he works, along with a whole heap of stills from his character development and design… we hope you’re ready for the ride. Kristenn always produces a large variety of initial loose sketch character designs, in accordance with any character brief that has been developed whilst writing and any brainstorming sessions with the client. These are then further refined and then colour is applied to further explore a range of different styles and versions of the characters. From there the final characters are given addition detail in order for the final 2D character design approval, then it’s finally time to move onto the 3D character build. 3D character modelling starts with creating a basic outline of the character to define size and body proportions. Once these elements have been perfected and approved, he then moves onto rigging the figure to allow for animating and any explorations of poses and motion range. The final stages include colouring, texturing, lighting and shading each character to bring them to life. 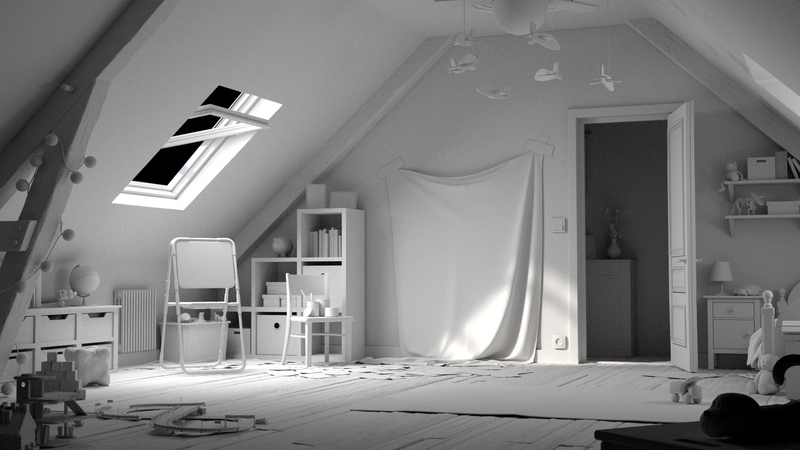 3D environment development takes a similar course to that of character development. 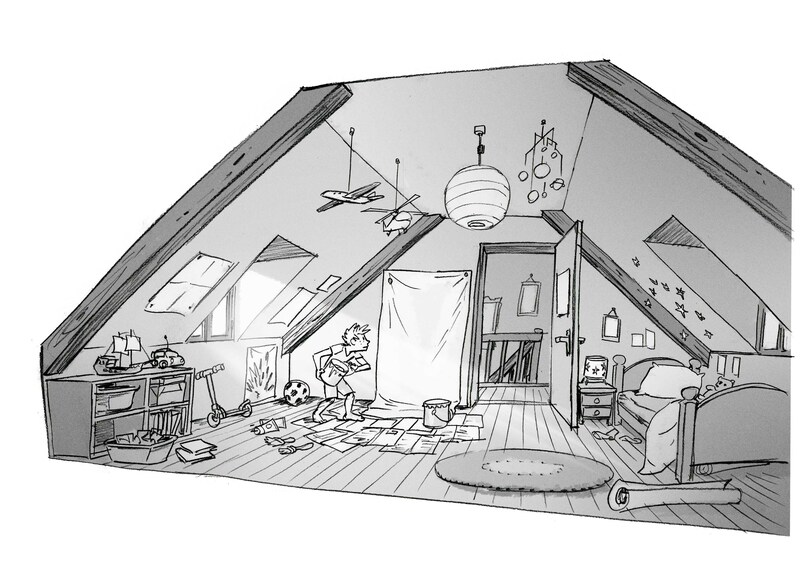 Each environment is sketched to map out where various elements will sit within the final 3D render. The environment is then built in 3D, animated and textured, coloured, lit, and shaded to add varying degrees of photoreality depending on the aim of the brief. Now we’ll let Kristenn’s work do the talking….